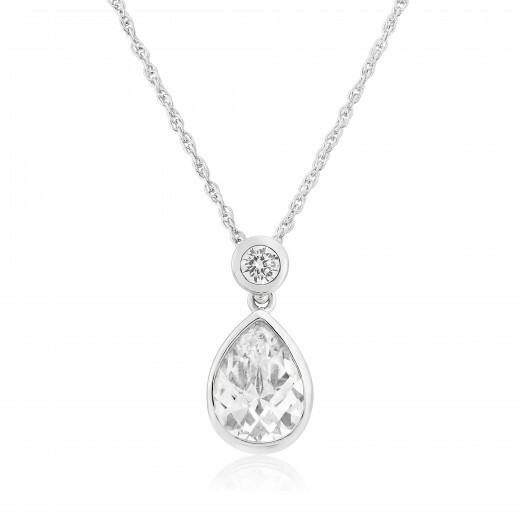 A bright and beautiful Necklace with a teardrop-shaped Cubic Zirconia and a polished White Gold setting which enhances the clear, faceted stone. 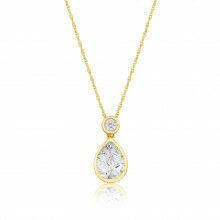 A lovely little piece of subtle luxury. 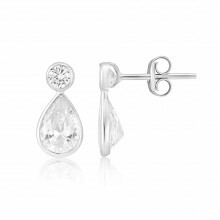 Wear with matching earrings for extra sparkle.